I can cook you up a meal from scratch with no recipe, adapt a cake for all J’s allergies – but ask me to plan you a craft activity and my mind goes blank! I love the idea of doing all sorts of educational and creative things with him at home but I never really know where to start. So I was excited to explore Twinkl, an educational resources website that has recently added content for the birth to twos age range. And I have come away feeling inspired! The site is full of easy to follow tutorials, printables and ideas for all ages. You can search for specific keywords or browse by age, activity or your role – parent, childminder or educator. There are so many craft ideas that I can’t wait to get started. None of them look too complicated, use easy to access materials and have step by step instructions. 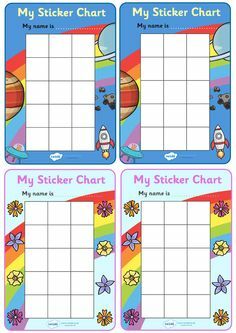 I also enjoyed the range of sticker charts available. We are having trouble getting J to clean his teeth and also to tell us when he needs to toilet so I am keen to try these out and see if they help. I was also interested to see the range of different educational information available. There were lots of resources available for older children who are learning to read or need help with their maths but also helpful features for younger chidren too like understanding schemas and planning activities around them. I was very impressed with the website and think it is a great deal at £42.99 for a year’s platinum membership. They even have a section where you can make your own colouring sheets or design bespoke resources and a forum to share ideas with other parents. So watch this space for my new sticky fingered creations. I always thought I should be a Blue Peter presenter…. Disclosure: We were given a free year’s membership to review this site. All words and opinions are my own. Oh I love Twinkl but I hadn’t seen these new resources! Mine are a little older than 2 now but it looks as though they’d still enjoy some of the bits, I know my daughter would love the sticker chart! Oh my goodness, I’m the same as you & can’t organise a craft session for the life of me! Great review of what looks to be a super fun resource. This sounds like fab resource. I’m more of a crafter than a baker myself though. I have a membership to Twinkl but have used it to its full capacity yet as we don’t have a print at the moment. Looks like there are some great features and resource.